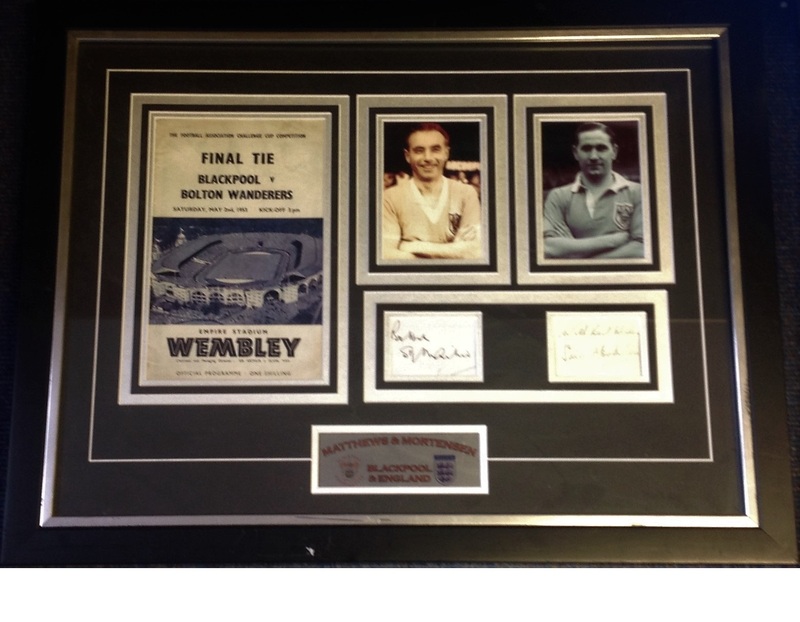 Football Stanley Mathews and Stan Mortensen 22x28 mounted and framed signature piece includes Front cover for the 1953 Cup Final, 2 b/w photos and 2 signed album pages all mounted to a professional standard. Good Condition. All signed pieces come with a Certificate of Authenticity. We combine postage on multiple winning lots and can ship worldwide. UK postage from £3.99, EU from £5.99, Rest of World from £7.99.